The newest addition and by far the most versatile race board in the Jimmy Lewis Line is here! 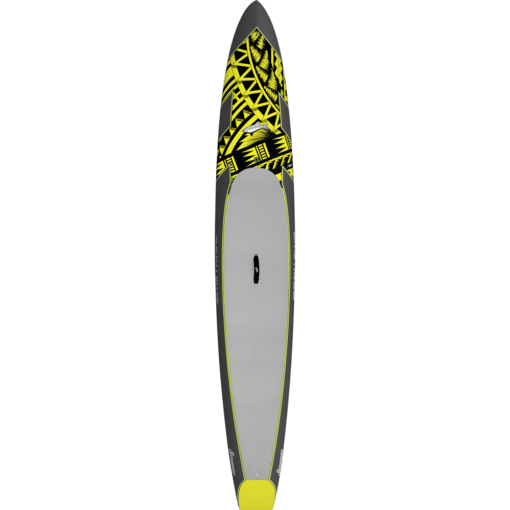 Designed to be the fastest board on the water in any and ALL conditions. The Sidewinder starts with a zero drag outline and a very low,smooth rocker line, making it very easy to get the board moving and once on the move will retain it’s speed and momentum with very little effort. The increased volume in the front keeps the nose “floating” over the chop while the “V” deck shape in the front separates the water when it pierces effortlessly through waves or large chop. The “wing” shaped rails up front prevent the nose from being affected by cross wind and allows the rider easy tracking in the desired direction during windy conditions. The bottom shape is a no-gimmick, simple flow, from the soft rounded edges in the front going into the single, stability concave in the standing area and blending to a flat release in the back. The rails in the back have an edge to them to aid with gliding and surfing ability. 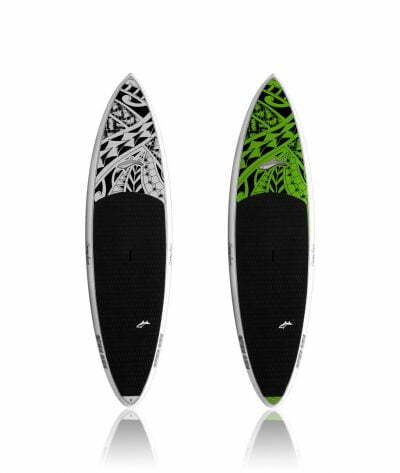 From flat water to down-winding this board excels in all aspects of SUP and will simplify your quiver. The Jimmy Lewis Sidewinder has been in development for a year and riders from round the world got involved to feed back to Jimmy what we needed from an ultimate sup race board. The board is 5” thick with a tapered tail and a round sided deck. It is the very board you want to ride to win a competition. Our Kinetic Factory has improved its technologies and the way it makes boards. 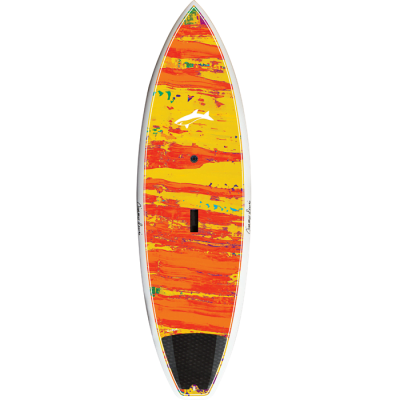 As a result of this upgrade every Jimmy Lewis 2016 board has a pvc plus carbon tail. The board tail is coremat less. The board itself is still as firm as the 2015 edition but even lighter. Also the graphic is very cool and original with yellow & red masao artwork. Jimmy Lewis Sidewinder best all-water race on the market! Comes with the new Sidewinder 9″ Race Fin. 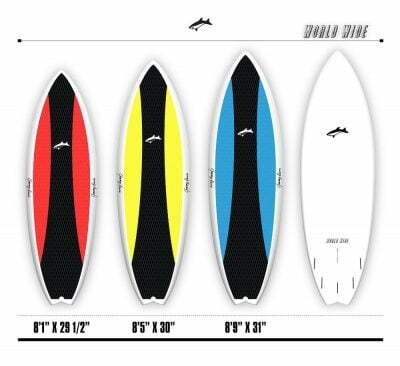 Specifications: 14’x25″ (274L) Available in store now for DEMO!